Stay on Mars, it’s a dream that every Martian has. It is funny and enjoyable to stay here but also tired. Today we woke up in different hours. By 09:30, every Martian was awake. We ate breakfast; then, Oscar, Danton, Tania and I were getting ready for the last adventure as Martians. At 10:35, we started our last exploration; this time we found the right way at once, we arrived at the unknown canyon at 11:45. Again… we are the first crew in there… That feeling is awesome!!! You can’t imagine that kind of sensation. We would like to give it a name. Despacito road and Porg canyon, because, we consider that the road is dangerous so you have to drive slowly (slowly in Spanish is Despacito). In addition, It’s important to mention that Porg is the official pet of the crew 187, he always stays with us in all the adventures; therefore, we would like to leave a mark of our official pet. We strongly recommend you to go to Porg Canyon! And drive very slowly in Despacito road, it’s for your security! The view in Porg canyon is beautiful, it’s a geological rich area. Thanks Shannon for recommending us this place! At 14:45, we were inside the Hab. One hour and a half later, well, exactly talking, at 16:10, the extraordinary EVA began, at 17:10, they came back to home. Later, Danton fly the drone around the Hab to do the aerial 3D mapping. At 18:20, wow, the moment that none Martian wants to arrive, arrived!… From that time, we were out of sim! 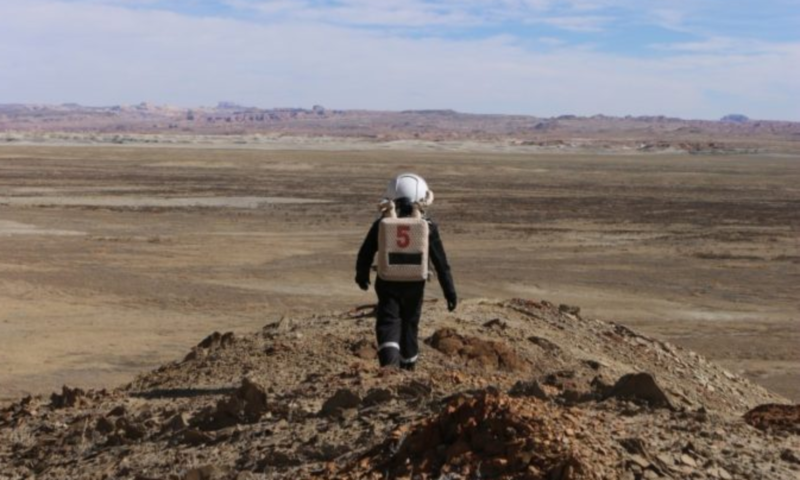 But we feel like we are still Martians, at least, we are going to feel it until we left the MDRS and come back to Earth. Currently, every Martian is running doing reports and the Mission Summary. Later we are going to have our last dinner together as crew 187. 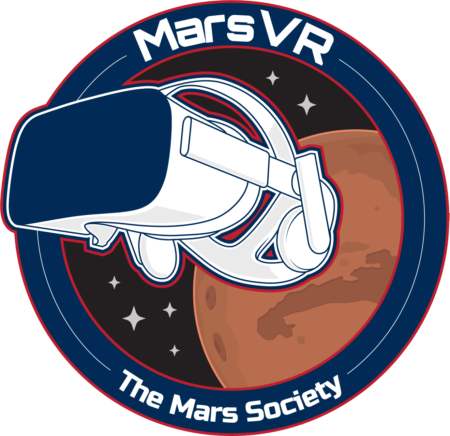 Tomorrow we are going to receive the next crew… Crew 188, we hope that you enjoy staying on Mars as much as we did! Receive the next crew… Crew 188, you have less than 24 hours on Earth!… Tomorrow you will be on Mars! 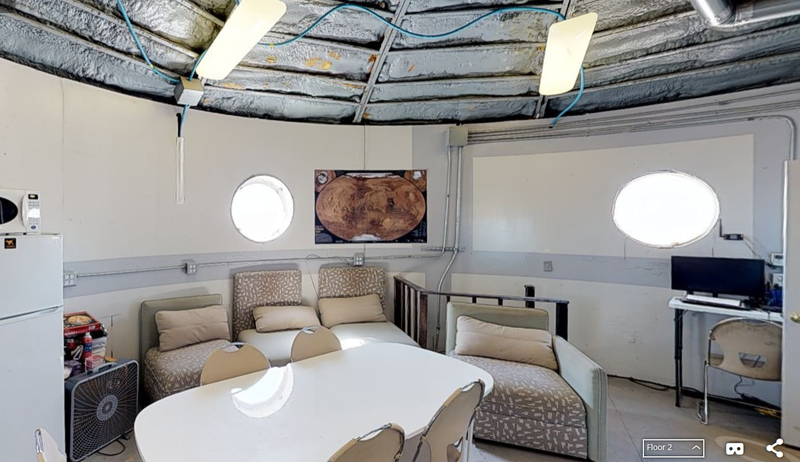 This place is amazing, and you can learn a lot of things from the MDRS, every Martian, the landscape, and so on! Furthermore, we are planning to enjoy our last day on Mars! Purpose: Testing of long-range EVA protocols and testing the Guache rover. Purpose: Usage of rovers for battery discharge. Reports to be filed: Sol Summary, GeenHab Report, Operations Report, EVA Request, EVA Report, Astronomy Report, Journalist Report and Mission Summary.